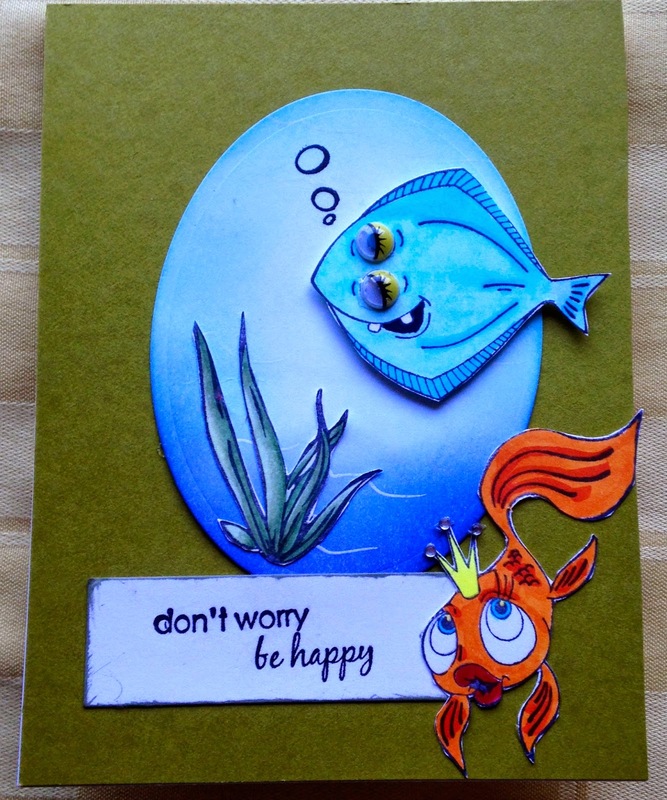 In one of my stamping groups, we had to do an under the sea theme card. I made this one from an old set from Gina K Designs. I think these fish are adorable and they just make me laugh! I put some google eyes on the blue one and they make me laugh more. Silly fish! Our weather has been amazing for the last week. Warm temperatures and sunny skies. How I hope it stays this way. But I well know we could be in for yet one more big snow! They ARE adorable, Sheri:) What a great card. Our weather has been pretty awesome, also. Great walking weather! You are right! These are cute! Sure is nice to be looking at the back end of winter as it is leaving isn't it! Sheri this is such a fun card. I really like the contrast of the blue and orange fish against the mossy green background. Great color selections. Glad to see you still taking classes! Love love love the googly eyes! Made me giggle!